Key difference: Betting is considered to be a form of gambling. The main difference between the two activities is that in gambling ‘the stakes’ or ‘the wager’ is placed on an event without any basis of the outcomes, whereas in betting the stakes are placed, based on at-least an idea or the performance about the said betting event. ‘The world is going to end in the year 2013! Want to bet?’, or ‘I bet, Australia is going to win the World Cup!’ or ‘I bet you to drink 10 glasses of milk!’ as one can see, these lines are often heard and made by people all around the world. And, these gambling and betting activities of humans have been going around since the ancient times. For, man has always been interested in knowing the future, whether it is regarding life, sports, marriage and even the next day weather. The idea of easy money, being right and the excitement to win or lose over the outcome of the placed bet is what seems to have the people hooked to gambling and betting. Though, gambling and betting seem to be the same, they are subtle differences between the two addictive activities. The term ‘Gambling’ is generic that describes the activity of placing wages on particular outcomes, without any basis on the outcomes of the said events. On the other hand, the term ‘Betting’ is used to refer to agreement between two parties, where one party makes a prediction, and loses or wins money on the basis of those predictions. Here, if the said party wins, then the other team has to forfeit the wagered amount as per agreement. 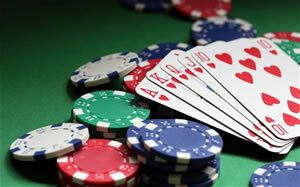 Gambling, in general, is defined as betting on any event with an uncertain outcome. This involves placing or putting ‘a wager’ on an event, in the hopes of making more money and wining, if in case the preferred event takes place or becomes true. Although, gambling has the inherent feeling of excitement in waiting for the outcomes to come true, it also has its risks. Here, everything depends on luck or chance when placing the bet. Gambling has got nothing to do with human skills. 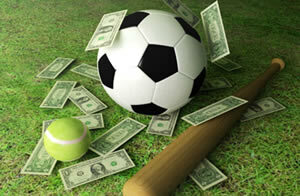 While, betting is a form gambling, it is slightly less risky and less uncertain than the former. Betting is defined as predicting the outcome of a future event and placing ‘a wager’ on that outcome. It is a simple attempt to win money by carefully predicting the outcome of a betted event. Here, the skills of a person might help as on the basis on an event, he or she can do some research and predict the outcome of the betted event. In modern times, betting has become an organized commercial activity, with many betting companies that invite people to place bets and payout according to the bets that are waged by players. While, gambling is considered illegal because it is addictive in nature and the fact that it is responsible for leading people to risk and lose everything in hopes of making big through ‘a wager’. Though, even betting has lead to similar losses, but in a smaller scale. Also, betting is a word coined to legalize the activity of gambling, wherein betting is considered normal and gambling is looked down upon in most places. It is described as the activity of placing wages on particular outcomes, without any basis on the outcomes of the said events. It is agreement between two parties, where one party makes a prediction, and loses or wins money on the basis of those predictions. It is a simple attempt to win money by carefully predicting the outcome of a betted event. It is less risky as compared to gambling. It is an organized commercial activity.